(PRESS RELEASE) – Advantis Engineering bagged the “Most Innovative Stall” Award at the National Construction Association of Sri Lanka’s (NCASL) Construct 2017 Awards ceremony held at Water’s Edge recently. The company received this award for the modular living vision of a “Smart Space” that it showcased at the Construct 2017 exhibition in August this year. Responding to the needs of the country’s blooming tourism sector, the Advantis Engineering team had modified a 40ft container into a compact chalet with a plunge pool on top. This eco-friendly solution has been designed with energy efficiency and portability in mind and can be rapidly deployedon clients’ properties with minimal impact to the environment.This is yet another unique living and working space solution developed by the company under its renownedCONVERTAINERS®brand. A trendsetter in the container conversions industry, Advantis Engineering has the distinction of being the first Sri Lankan company to export locally converted containers to companies around the world under this brand. “At Advantis Engineering, we strive to reimagine the way in which living and working spaces are built in the country through smart, modern construction solutions that have prefabrication at their core. The ’Smart Space’ concept that we showcased at Construct 2017 is our vision of a compact, modular living space that is both eco-friendly and easily deployable. Being prefabricated, it does away with many of the cumbersome issues of traditional construction faced by property developers when trying to construct hotels and villas in idyllic, remote locations. 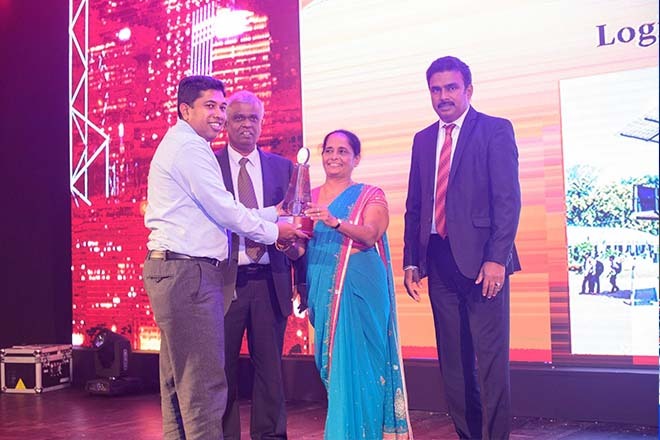 We are delighted to see this concept being honored with the ‘Most Innovative Stall’ Award by the National Construction Association of Sri Lanka,” saidKamal Wimalaratne, Deputy General Manager, Advantis Engineering. The event which is recognized as Sri Lanka’s pioneer construction exhibition was held this year for the 17th consecutive year. ‘Construct 2017’ consisted of over 300 stalls and attracted a large number of local and foreign industry related experts. With its modern conceptualized stalls and innovative and effectual methodologies, the exhibition catered to the needs of a vast network of people from Sri Lanka and across the region. Advantis Engineering is a fully owned subsidiary of Sri Lanka’s most diversified transportation and logistics provider Hayleys Advantis Limited. Backed by the blue chip conglomerate Hayleys PLC, Advantis is at the forefront of the logistics industry offering end-to-end solutions for complex logistics requirements. It is committed towards being an innovator in the industry, setting the pace and shaping the logistics category. For further information about Advantis Engineering, please visit http://www.advantis.world/engineering.